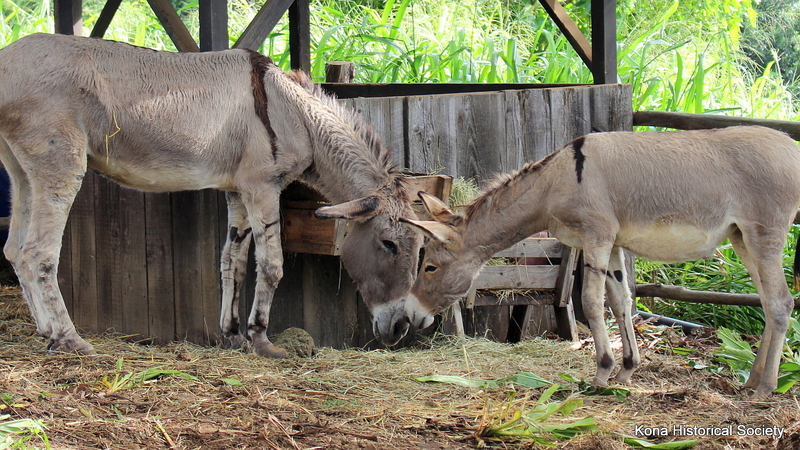 Shizuʻs first meeting with the Kona Coffee Living History Farm's elder donkey, Charlie, in the pasture. CAPTAIN COOK, Hawaiʻi - The young donkey has been acclimating to her new surroundings for about a week, the Kona Historical Society recently reported. Photo of Shizu courtesy Kona Historical Society. (BIVN) – There is a new arrival to the Kona Coffee Living History Farm: a 9-month-old donkey named Shizu. 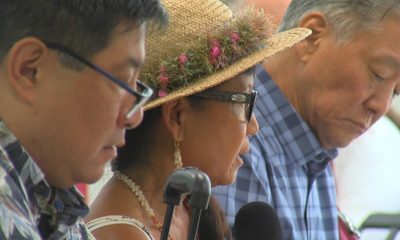 The Kona Historical Society recently shared photos and a media release, introducing the newest member of its ʻohana. A new Kona Nightingale baby has recently joined the resident senior donkey, Charlie, at the Kona Coffee Living History Farm. The affectionate little 9-month-old Nightingale, named “Shizu” is providing some companionship to Charlie in his sunset days, and perpetuating the important historical programming for school children on the farm at Kona Historical Society’s historical site in Captain Cook. The young donkey has been acclimating to her new surroundings for about a week. Shizu comes to the Farm to continue the historical Kona Nightingale program that the Farm’s approximately 35-year-old donkey, Charlie, helped develop. 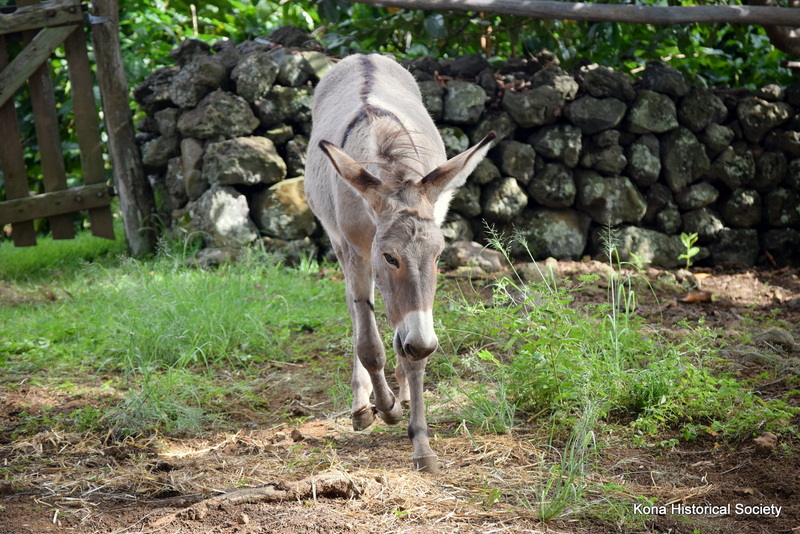 Since 2015, Kona Historical Society has been working to fund, find, train, and integrate a young donkey into the farm to provide companionship for the elderly Charlie, and to provide engaging visits and new curriculum for school children. In March of 2017, Charlie’s first companion was brought to the Farm. The community helped name the young donkey through a voting campaign that lasted three weeks after her arrival. 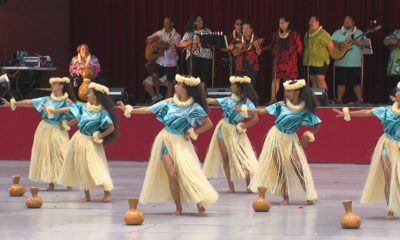 “Mele” won by popular vote, but “Shizu,” which translates from Japanese to “quiet, clear,” was one of the names considered. 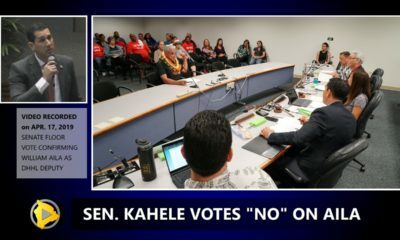 In April, 2018, Mele was tragically killed, and her death was followed by an outpouring of support from the community. Since that time, a generous donor has provided an anonymous donation challenging others to contribute to Kona Historical Society’s donkey program with a promise of matching up to $10,000 of donations. Yamagata Farms, the South Kona family farm who donated Mele to Kona Historical Society last year, donated the new donkey in support of Kona Historical Society’s program, and has been discussing with Kona Historical Society the donation of a possible second baby in the coming months. 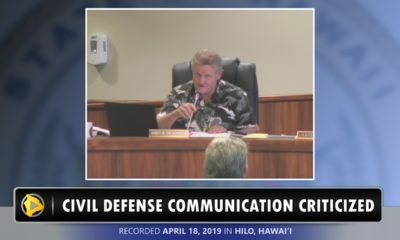 Shizu was gifted in June, 2018 and in the intervening months received training from Kaohu Ha‘alilio, a senior at Konawaena High School and Student Vice President of the Hawaii High School Rodeo Association at Mahealani Ranch. Kaohu has also qualified and represented Hawaii at the National High School Rodeo finals, placing 25 th in the nation. Under Kaohu’s handling, Shizu has learned to lead, to wear a harness and a pack-saddle, and to be comfortable when being handled. Now with the staff of the Kona Coffee Living History Farm, Shizu is learning some Kona Nightingale tasks, such as hauling coffee and other farm goods. “In the early 20th century, donkeys were important members of Kona’s coffee pioneer families. These Kona Nightingales help bring our story to life and add an exciting new element to our interactive living history programs. 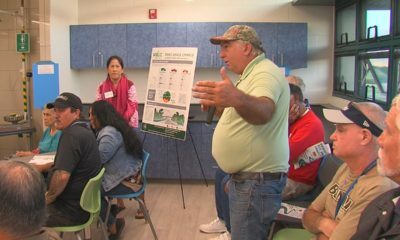 The donkeys will be among the first to greet local school children and world travelers who visit the Kona Coffee Living History Farm,” said Kona Historical Society Director of Interpretation Gavin Miculka. addition for the first time. 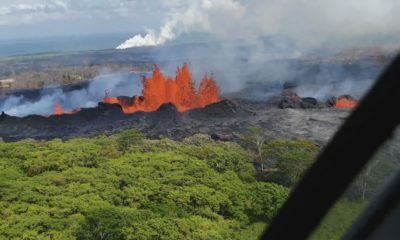 Kona Historical Society is a community-based, 501(c)(3) nonprofit organization and Smithsonian Museum affiliate. For more information, call Kona Historical Society at 808-323-3222 or visit konahistorical.org. To get the latest updates regarding Kona Historical Society programs, historic sites and special events, “LIKE” Kona Historical Society on Facebook.